Are You Prepared for the Next Trade Show? Preparing for a trade show is a massive undertaking. In fact, if you participate in a number of shows during the year, you may have a team dedicated to the planning and executive of this valuable marketing event. 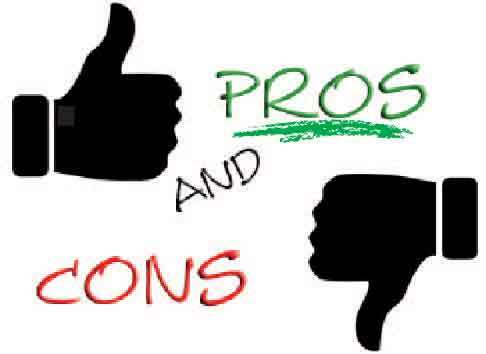 Weigh the Pros and Cons of prior events. How did the sales conversations go? Were the follow ups profitable? Did you in an increase in numbers in your booth? Did the show offer work? Did you need more seasoned employees? Hopefully someone from your team took notes during the last event and has the answers to the above questions. The definition of insanity is “doing the same thing and expecting different results” and so if you jump into planning mode without looking at the pros and cons of last time – you could be shooting yourself in the foot. Examining What Worked and What Didn’t is a classic business model used by large corporations, universities and even those reviewing the Grammys! The only way our experience will improve is if we hold a mirror up to the past and examine the trade show for the wins and losses. How am I going to measure my attendance and presence at the show? In addition to counting leads, it’s important to measure marketing impressions at the show. Just like you can see how many people view an ad in a magazine, you want to know how many people are viewing your marketing materials like signage on the show floor. Burke suggests working with the show organizer to get numbers. For example, if your signage is at the front of an entrance on the west side, find out how many people entered the show floor from that door. This can help you plan for future shows and decide whether they’re worth attending. One new business owner recently attended a B2B trade show with the previous owner of the business. They worked side by side for three days. At the end, the new business owner who had a goal of achieving $20,000 in sales was pleased with their $23,000 haul. However, the previous owner wasn’t happy. 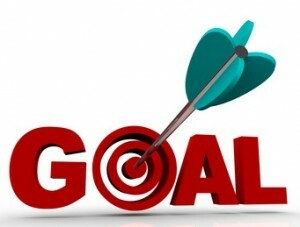 The goal the new owner set was based on bills she needed to pay and not taking prior experience into account. Of course, we have to examine the average dollar amount of each sale but the lesson is that we not only need to take into consideration our breakeven point but also how the sales, orders or qualified leads have been in the past. Doing a little research helps. Some venues offer trending statistics to let you know how the attendance has been. Reading articles on CEIR or TSNN for international trends and specific venue results is also a great use of your time. Although in business we must constantly be looking at the horizon for new trends, competitors and consumer’s wants but there is a benefit to glancing back at the past. You’ve heard the expression 20/20 hindsight; there is value in examining the past for lessons we can learn for our next event. Our experienced trade show professionals can help you think through your strategy. As you examine what you could improve; we can help determine the best solutions. You may need to add hanging signs, lighting or pop up display accessories to give your booth that extra something! Give us a call – we are here to help. Success is in the details and your tradeshow experience will be all the more productive if you arrive confident in the fact that you are equipped for every possible scenario. E&E Exhibit Solutions’ recommended Tradeshow Toolbox helps you avoid the frustrating, stressful experience of thinking you have everything you need only to discover you forgot scissors or aspirin or pens. E&E Exhibit Solutions has had years of experience designing, creating, and building tradeshow exhibits as well as participating in tradeshow events around the country. Our tradeshow expert consultants have created a list of items every booth should contain. © 2019 E&E Exhibit Solutions. All Rights Reserved.